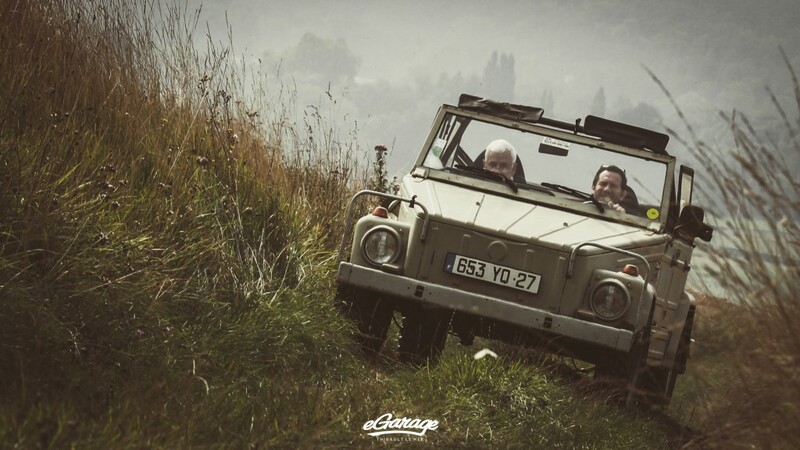 Every year in September, when the weather is still friendly, a gang of French buddies organize a special rally off-road for vintage vehicles. But they don’t only drive their cars, they also want to have a good lunch! In the morning, each team gets a personal road-book with a mission: to find a farm and to bring good food from there to the picnic. Farmers are usually happy to sell their products to groups of 40-50 persons. And pedestrians and ecologists are happy not to see long trains of several cars cruising in the same place because every team has to go in different directions. Everybody has to finish his road-book at the same place anyway: the place of the picnic! 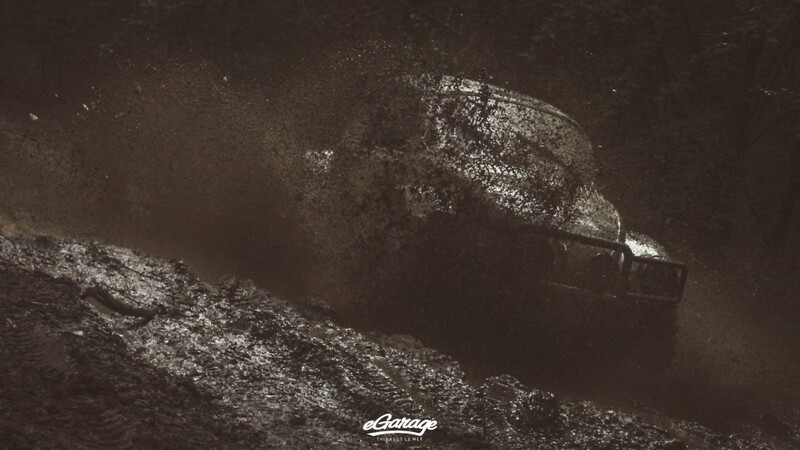 It is usually chosen according to difficult land that is fun to drive! After eating barbecue and drinking some beers, it’s photo time! 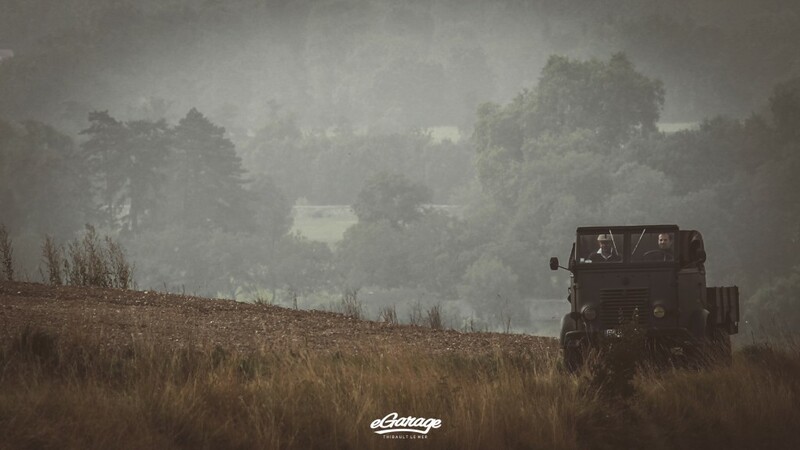 As we can see from the color, this little truck comes from French army. Out of service since the 70’s, the new owner welcomes it with open arms. 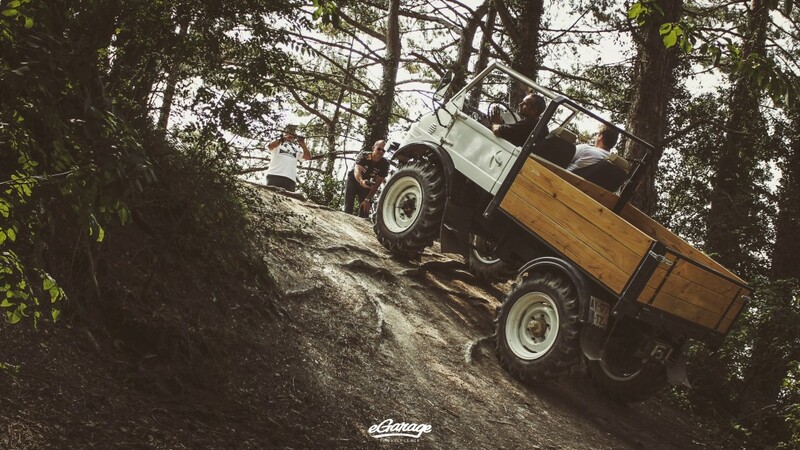 The 4wheel drive powered by a 2100cm3 engine is able to achieve max speed 80km/h. 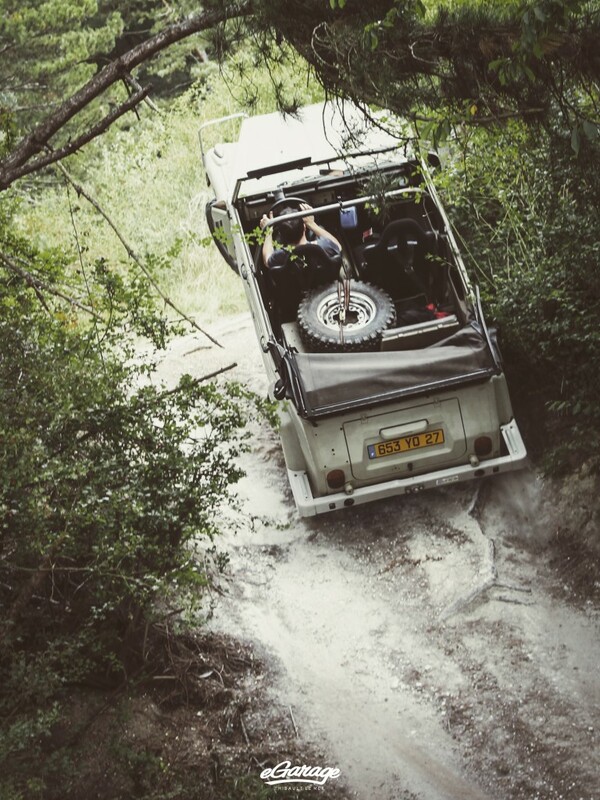 Just enough to feel the wind in your hair when drive top-less. It’s true, this vehicle doesn’t want to be a sport car but what a look! 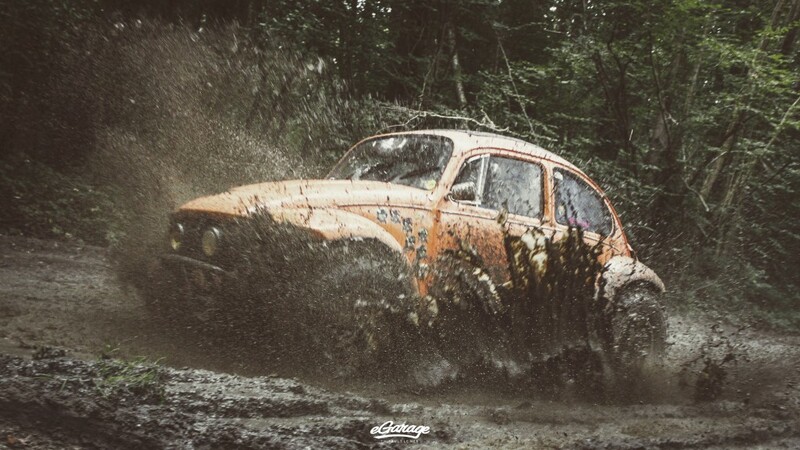 High level custom for this old Beetle 1303 . The original chassis got a body-lift +5cm (2 in. ), whole front suspension rebuilt as a “Mac Pherson” system +10cm (4 in.) and max adjusting rear train. Front tires are 195/80/15 (27-8/15 ) and backs are 215/80/15 (29-8/15 ). Brakes are also rebuilt with discs from Mercedes C200. Engine was upgraded with a 1915 cm3 around 80HP and gear box from VW combi. Built to the be wild ! 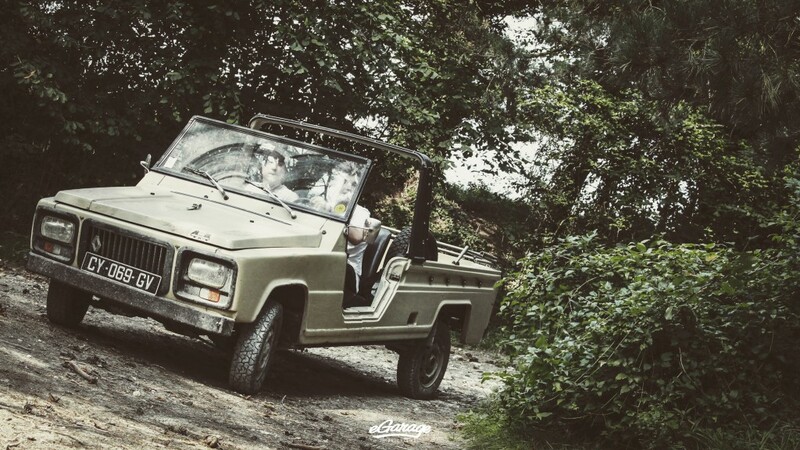 At the beginning of the 80’s, Peugeot was already well known for their hardy commercial vehicles. It wasn’t enough for the partner manufacturer Henry DANGEL. 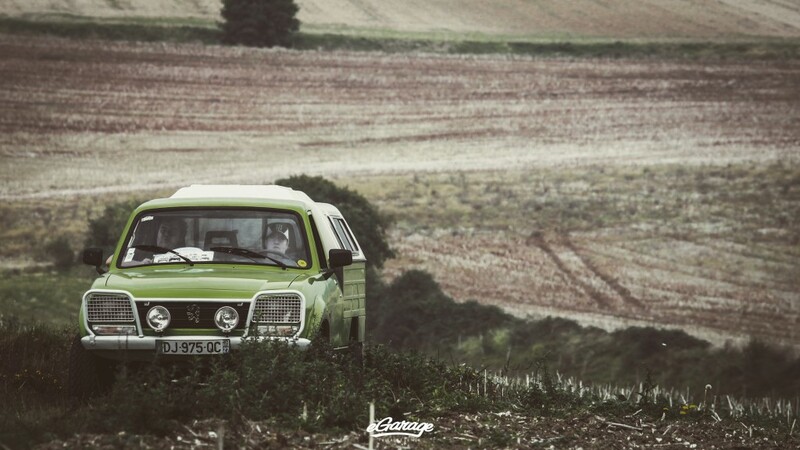 DANGEL SA first built a Peugeot 504 estate 4 wheel drive and quickly understood lots of interest with the 504 pick-up version. 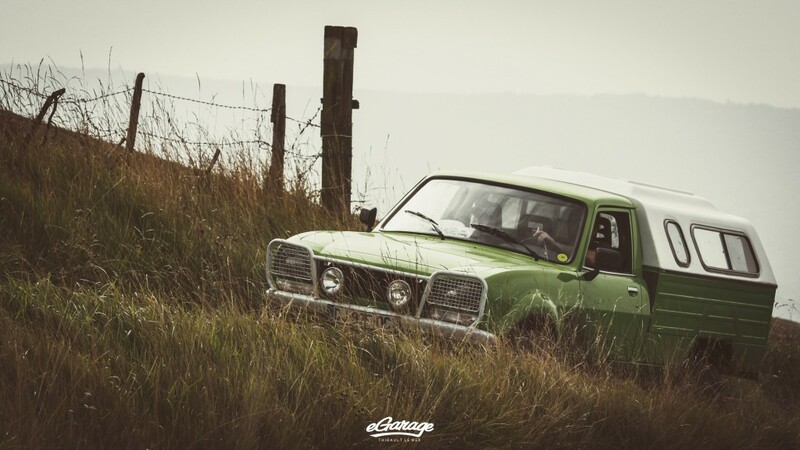 Around 3000 units of 504 Pick-up DANGEL have been produced for customers such as French army, “Electricité de France”, and lot of fire brigades. Now, these old timers are out of service and come available every few years on the second-hand market! 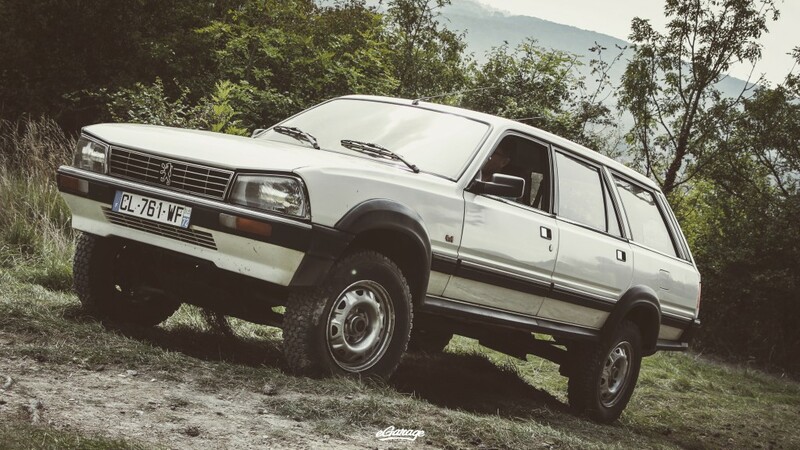 This PEUGEOT 505 was first made in the brand factory in 2 wheel drive version and then prepared in partnership by DANGEL Company to become a real OFF-ROAD car. As all other DANGEL vehicles, this car get a 4 wheel drive transmission system with limited slip. And + 8cm (3,15 in.) height. Some versions got the fabulous V6 PRV such as in the DELOREAN. 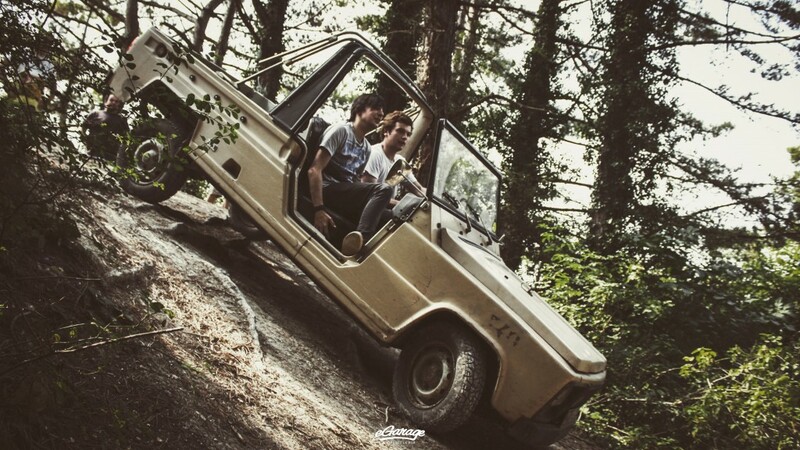 Delivered with 5 or 7 seats, it could be quite a family car and was a comfortable OFF-ROADER when you need it. 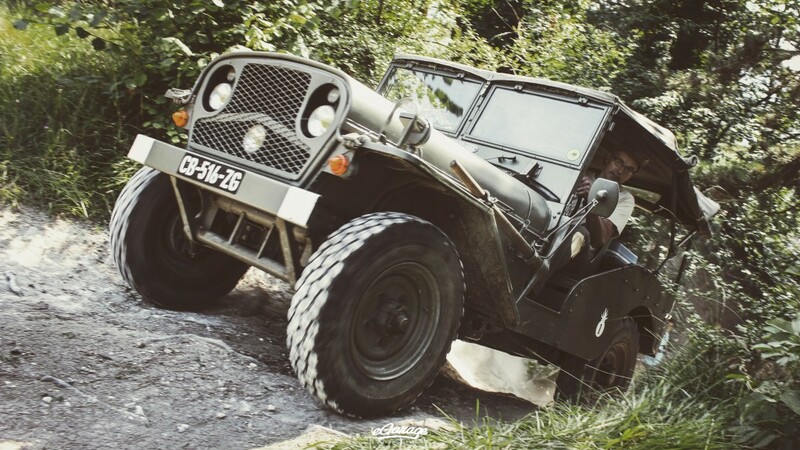 Born in 1949 to remove the Jeep, Ford & Willys bought at the US Army, DELAHAYE built this Jeep and has presented it to the French Army. DELAHAYE was well known with the luxury car before the 2nd World war and put several “high” technologies on his jeep: differential locking, independent suspension, special oil system designed against failure. 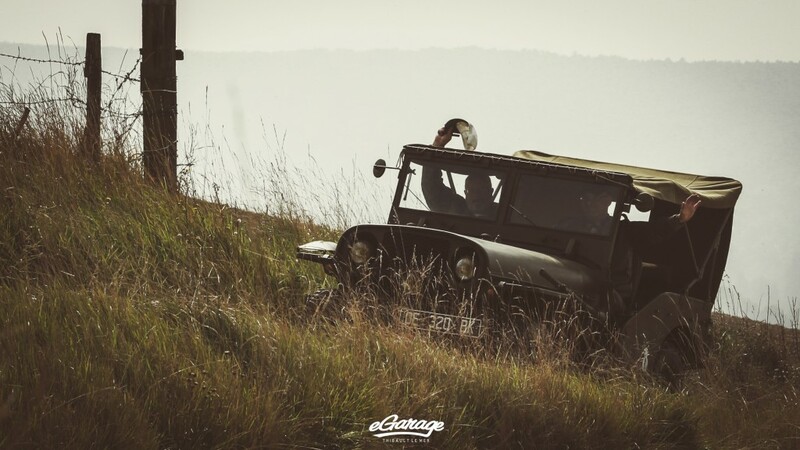 Lots of these old jeeps are still on the road today and Philippe and his car drive every year 250km to be with us . 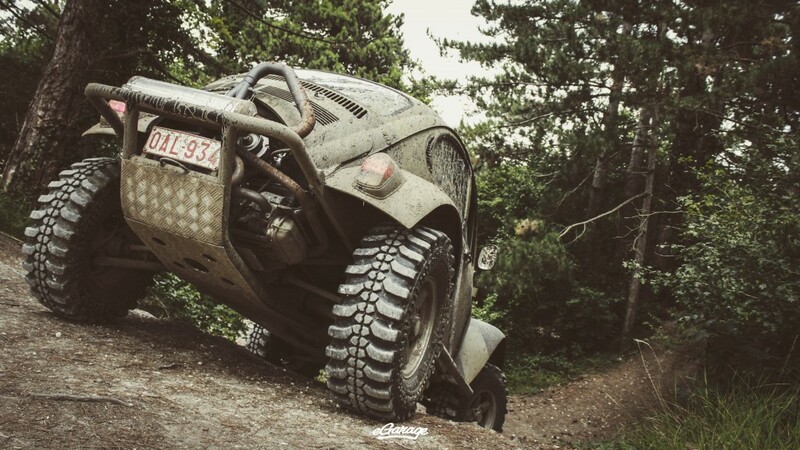 Beetle chassis and body based on the old German army light vehicle called “kubelwagen”. Native high crossing capacity upgraded with an experienced driver always makes for good pictures. This guy was first crazy about old classic cars. 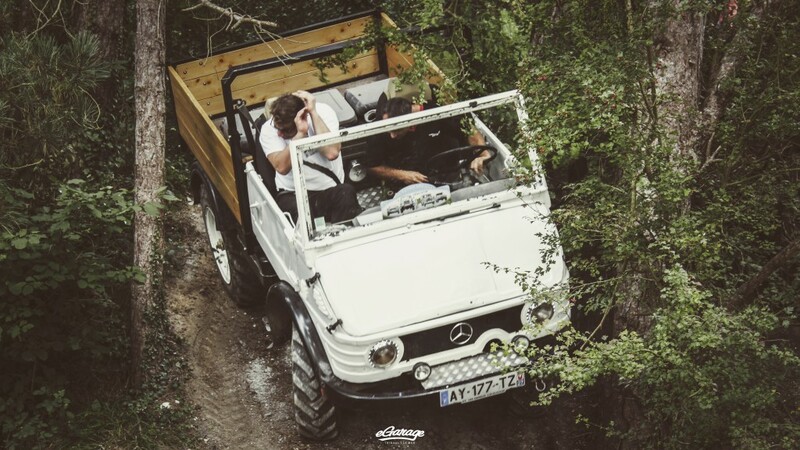 He discovered the OFF-ROAD world a few years ago and has now a second reason to be so crazy in cars! 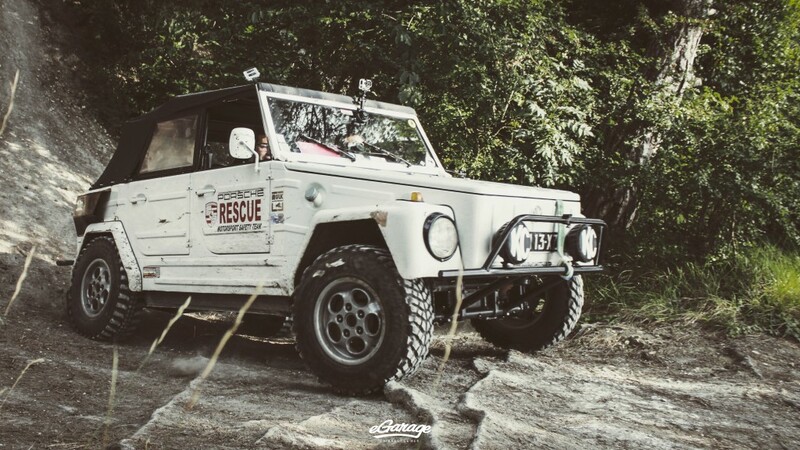 His VW 181 white “Porsche Rescue” called “the Yeti” has a body-Lift + 8cm, a 1600cm3 engine with 2 carburetors, rear transmission with reduction . You just have to put good tires to be able to drive everywhere! 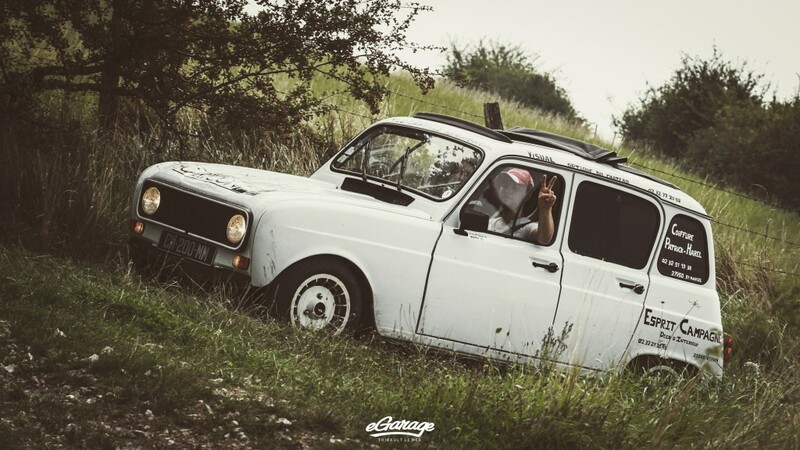 A symbolic French popular vehicle, built more than 8 million units from 1961 to 1992, it makes older people nostalgic and the new generation happy too especially with a humanitarian rally organized every year in Africa. 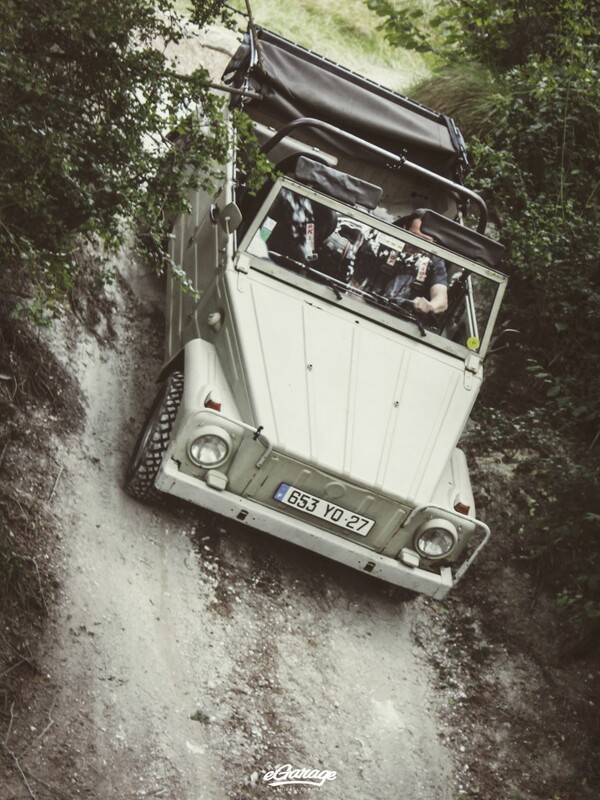 The “Student Challenge Rally” allows possibility to transport plants against desertification. Every competitor stops at the beginning of the desert for a day of planting. Then they go back on road to continue the race. 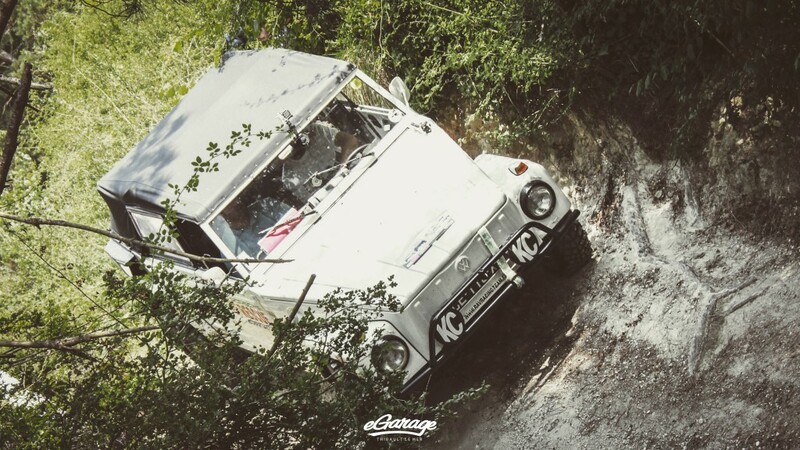 For people who watch lot of movies, we can see an example of the Renault 4L in “Romancing the Stone”. 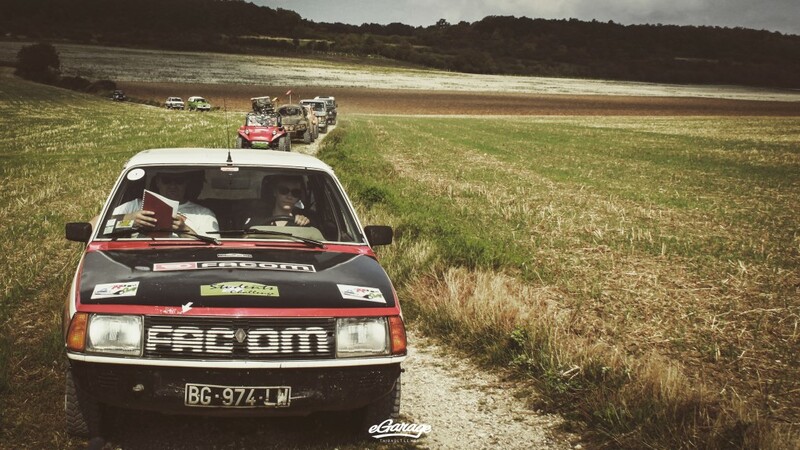 Another Renault less popular than the « 4L » but also legendary for the 3 taking part in famous Rallye Paris-Dakar (1984-85-86). Completing the race at the same time as Mitsubishi, Toyota, and Mercedes official teams, 2 brothers built this prototype based on a Renault R18. “Based” only because most parts were changed or upgraded, the whole front face was cut and replaced by a Renault R30 face in order to install a V6 engine! This R18 is a domestic version of the prototype with only +5cm height suspension reinforced and upgraded engine. 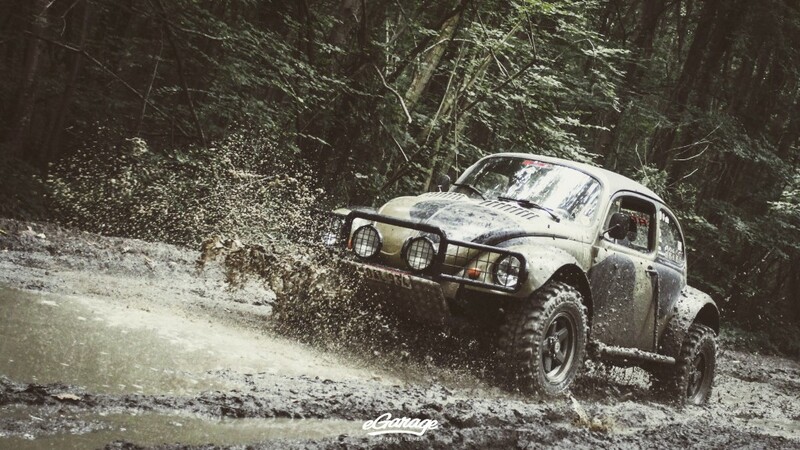 This one maintains street legal status, even if she prefers the difficult off-road way. In the heavyweight range (2900Kg empty), we usually meet this kind of vehicle on building site or lumber yard. Engine 2300cm3 gasoil, short chassis, upgraded brakes (disk instead of original drums), along with 40cm ground clearance gives it a look of a forest wild beast. And yes it is!